What is CAD Jewelry Design? "building a successful fine jewelry business from home"
CAD jewelry design can help you reach a new market with your jewelry business. CAD (computer-aided design) technology now enables you to hold a "virtual inventory" of fine jewelry designed by you - without having any pieces actually created until a customer orders them. The result is not only the ability to sell handmade jewelry at lower price points, but also to offer your own unique lines of fine jewelry. Whether it has yellow diamonds, pink sapphires, or tanzanite, all jewelry customers have an idea of what their dream piece looks like. How the CAD jewelry design and creation process works? The jewelry is never actually made until someone orders it. It's amazing what CAD jewelry design technology can do. The images it renders actually look like real pictures of the final piece - even if the piece is never physically made. The dimension, thickness, different design views and stones sizes details can be known prior to the manufacturing. Selling fine jewelry also allows you to make more money - a retail store will charge customers anywhere from 2 to 4.5 times what the piece actually cost them. Another advantage of CAD jewelry design is that you can actually sketch a design, send it to MC Square Studio which does both CAD and manufacturing, and have it rendered for your client as well as for your portfolio. 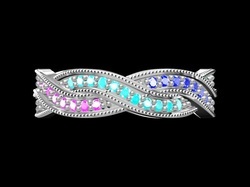 Then in the future, you can have this design manufactured again with a few changes to customize it for a client who might want to add a few stones or change the metal. The changes can be done easily at no cost to you. 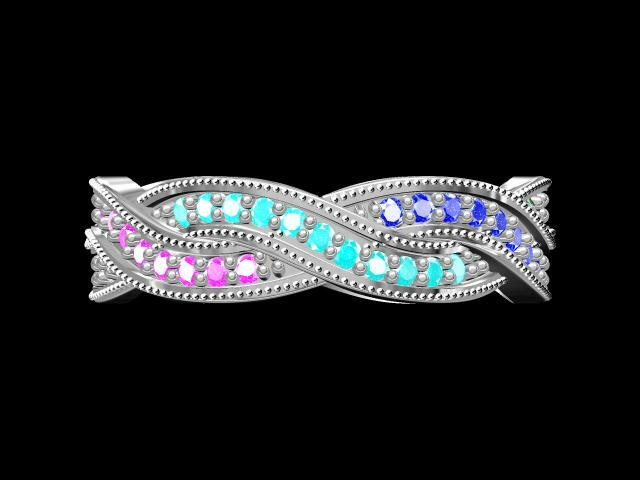 The best part is if you have a website, a CAD jewelry design can be done in two days, and the render can be uploaded to your site as easily as any other photo for you to display your work. Visit your local jewelry stores and ask if they offer CAD renderings for clients who want custom jewelry. You will find that very few offer it, and even less actually do it in-house. If you already have a network of friends and fans of your designs, ask them what they think about your creations. Ask if this is something they would be interested in buying. Post your designs on your jewelry website or blog and ask for your customers' opinions. If you receive positive feedback, start creating your own gallery and distinguish yourself from other jewelry designers in your area. Your own jewelry design portfolio with minimum 10 conceptual design of jewelries. Experiencing Computer Aided Manufacturing software and CNC machine operation method. Your very first jewelry production (from concept to physical) with the full support from factory at reasonable price. Reveal The Secret of Jewelry Design & Goldsmithing The Easiest way to become a Jewelry Designer that make your dreams comes true!